I've been smitten with Ishin since it opened. Its near enough that I can take a leisurely 15 minutes stroll form my house and even when we do drive over, parking is a breeze. park on my own or their in house valet does it for us. More so, its the food that has not failed me. 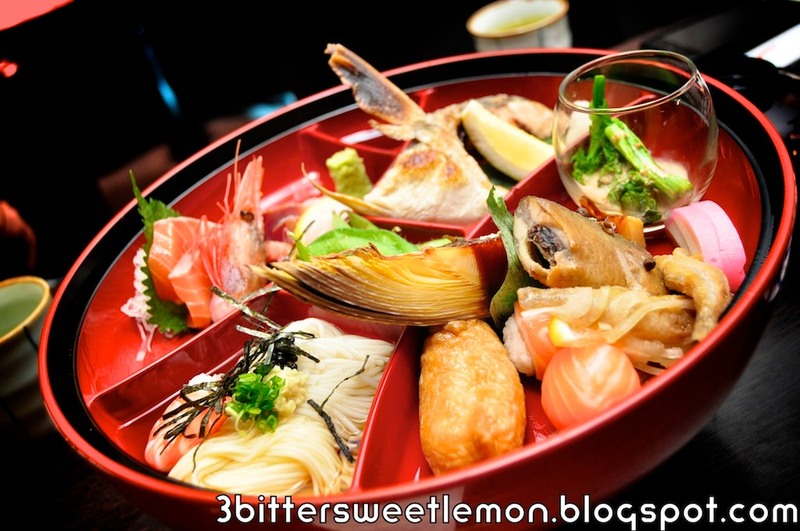 Our latest food escapade at Ishin is yet another lip smacking thumbs up session. And before I forget, I love ordering food at Ishin. Not the traditional paper based menu (though it is available for people who love the good old fashion feel of paper) but on an iPad. Before you dismiss it as what's so unique? 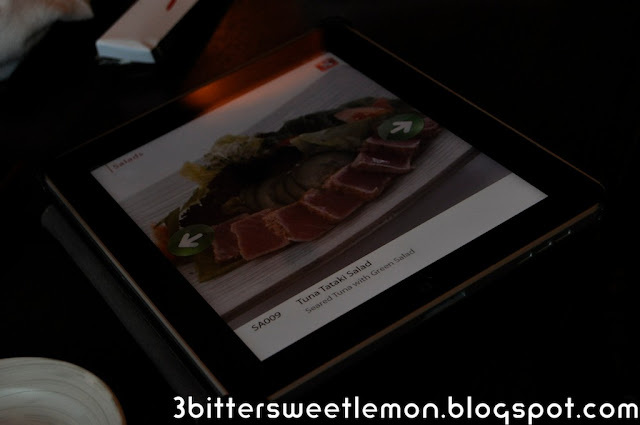 Fact is they were the first restaurant in Malaysia to have their menu on an iPad 2 years back complete with pretty pictures of the yummy food. 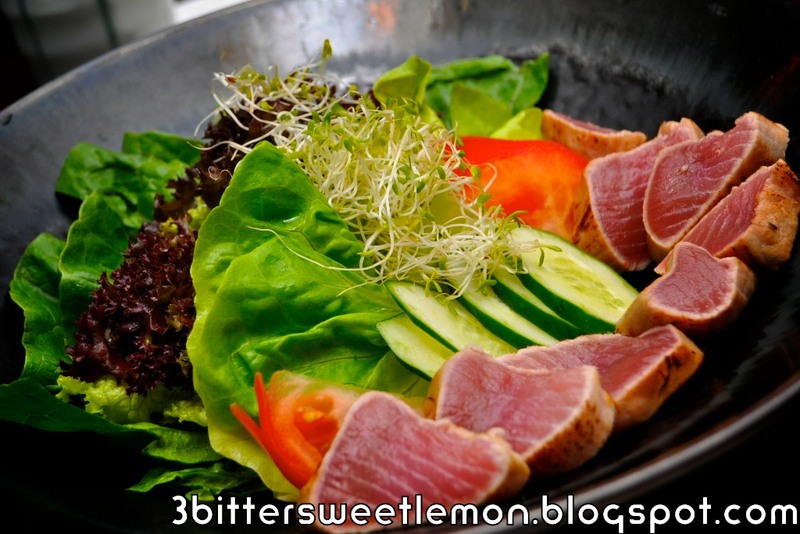 One of my all time fave must haves at Ishin is always the Tuna Tataki Salad. 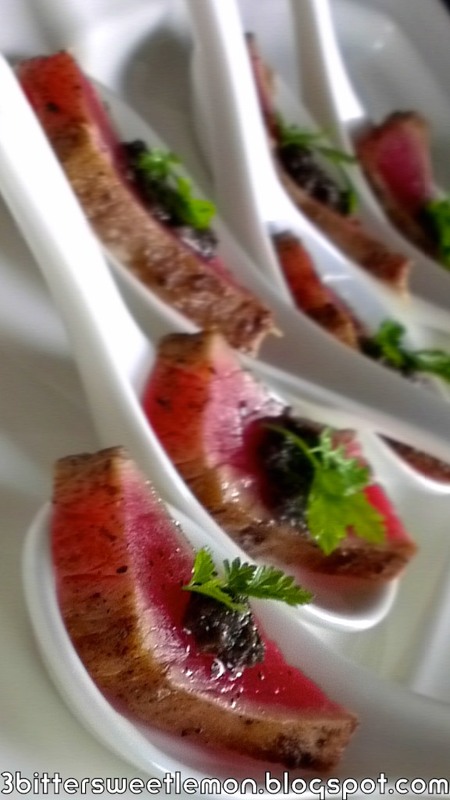 Crisp fresh vegetables with perfectly seared thick slice of tuna. 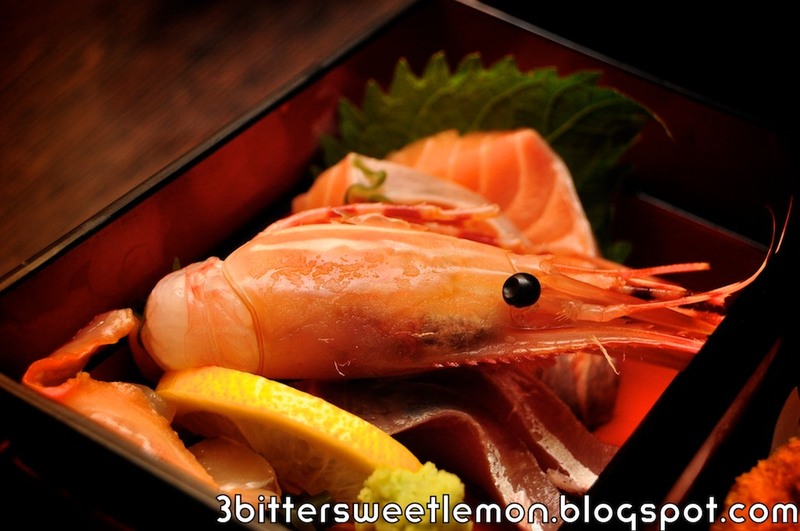 Opt to add on the wasabi sauce or eat it on its own. 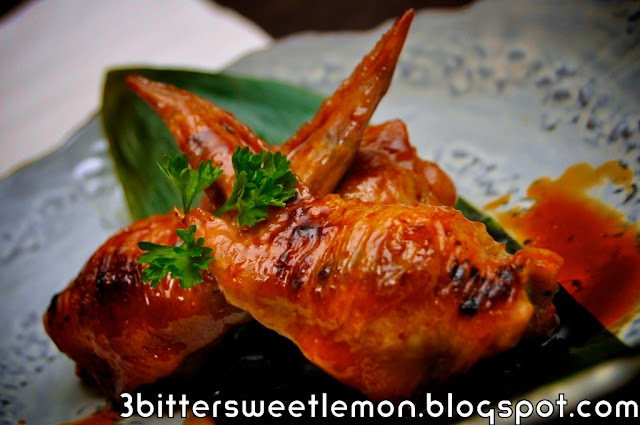 Chicken wing lovers or for that matter gyoza lovers must give the Teba Gyoza a try. 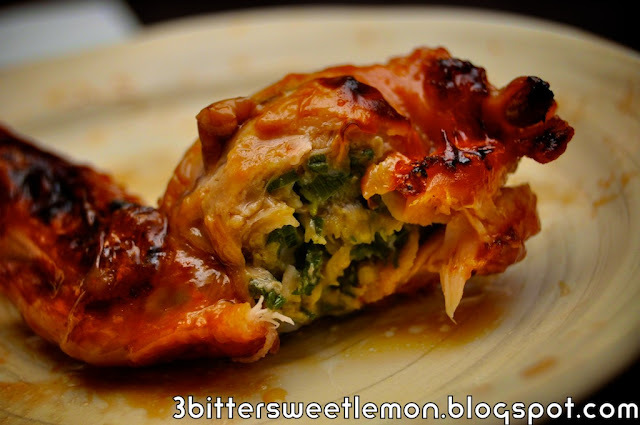 Its your favourite juicy chicken wing stuffed like a gyoza. An assortment of stuffing including chicken, chive, scallion bounded together inside teh well marinated chicken wing. 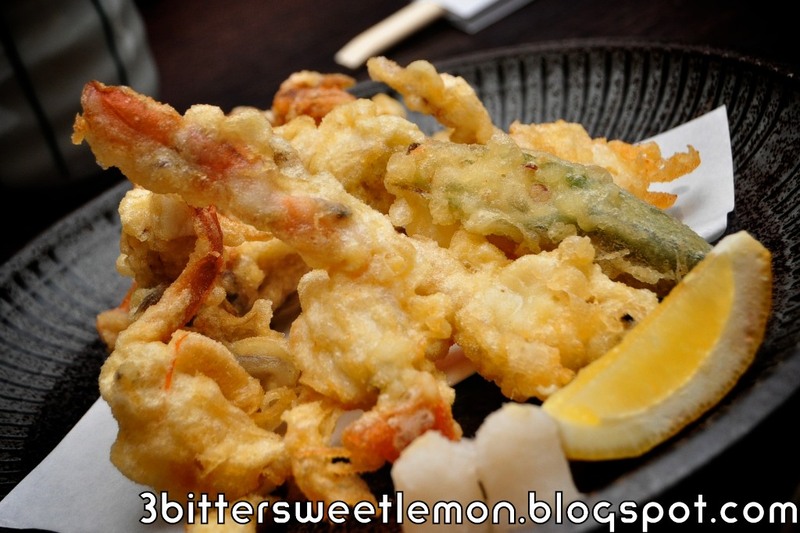 Preferring a slightly more lavish tempura, we ordered the Soft Shell Crab Tempura. Golden batter coats the soft shell crab perfectly and is not the thick sickening eat flour style. I am always game for a good meal of lamb. 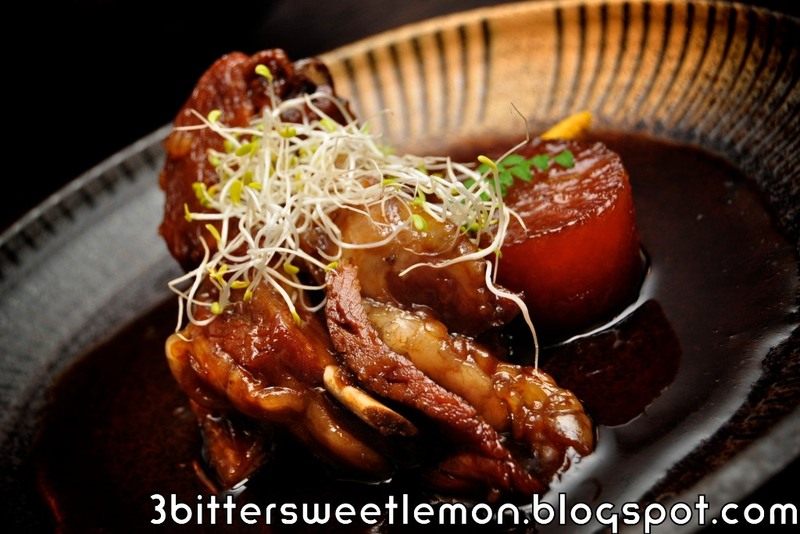 We take up the suggestion to try Ishin's specialty of Lamb Kukuni. 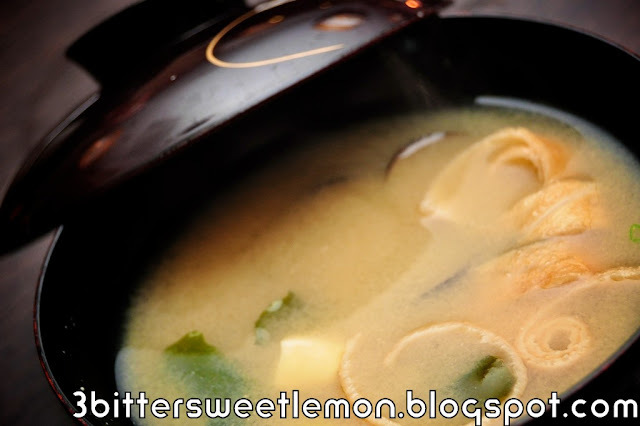 It is undoubtedly simmered till its flavourful but can prove to be a tad gamey for some folks. The above are just appetizers for Mel and I. 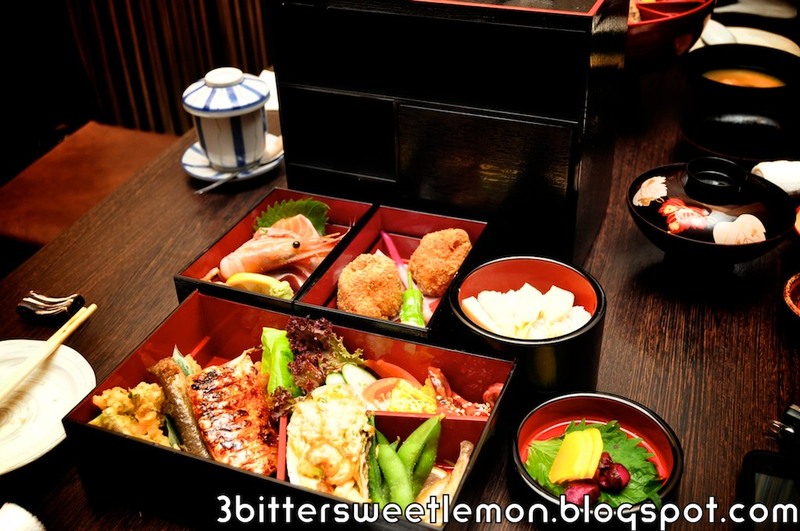 Our dinner seriously begins with our bento sets of Hanami Bento and Haru Bento. 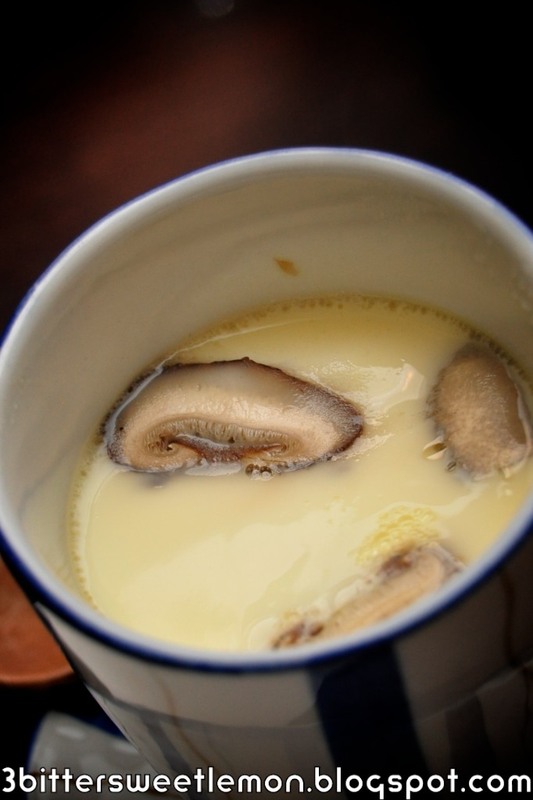 Each set is served with a hot chawan mushi and bowl of shijimi miso soup. Fluffy creamy egg with an assortment of jewels within. 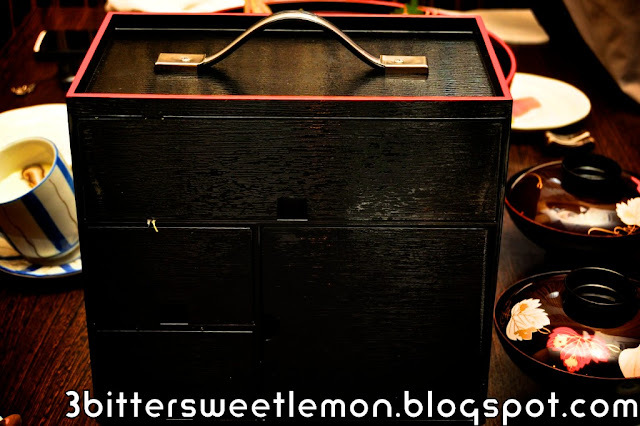 The Hanami Bento comes in a pretty tiffin that I wished was for us to take home:D A varied of goodies fill the individual compartments including sashimi, shioyaki, sushi, somen and edamame. My fave in this set has to be the artichokes that we relished to our heart's content. Pretty platter of fresh yummies. 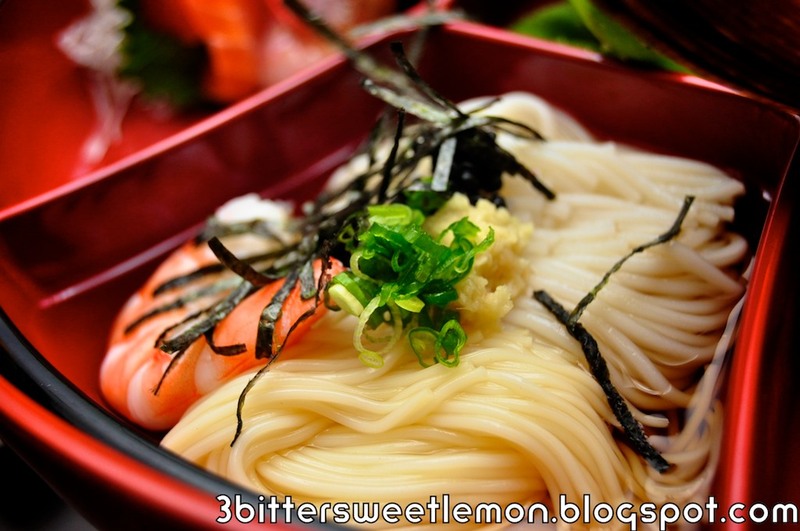 Tri coloured somen. Simple and delightful. 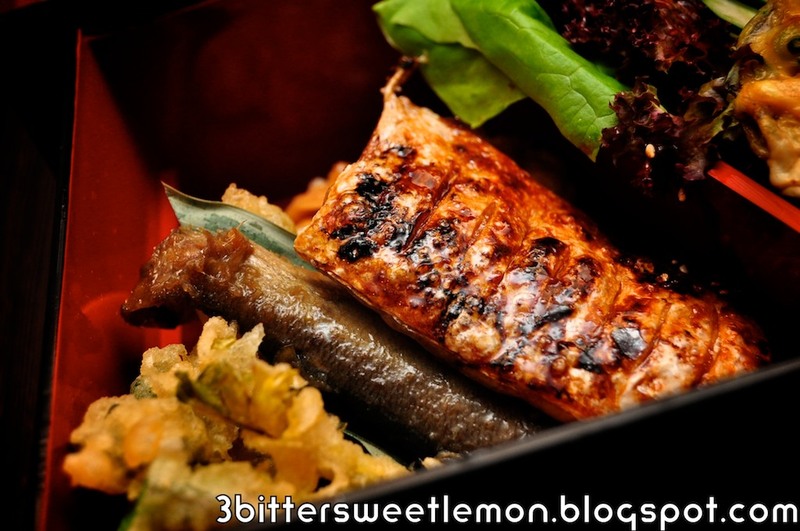 Next is what I call the 3 storey bungalow bento set known as Haru Bento. Love the red edged black wooden box. Again I wish I could take the carrier home. 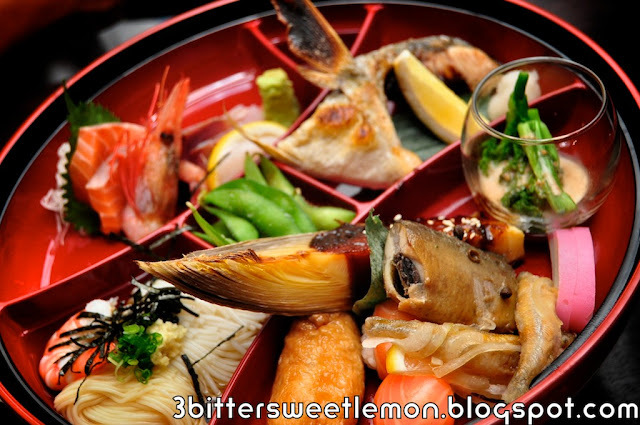 Within this carrier is an assortment of sashimi, teriyaki, tempura, baked oyster and gohan. The gohan is good so if you're not about to carbo load, forget the idea...this is fluffy satisfying starchy rice! Looks a lot but I am not sharing it with anyone! Ishin's air flown sashimi is always one of my main highlights in y meals at Ishin. 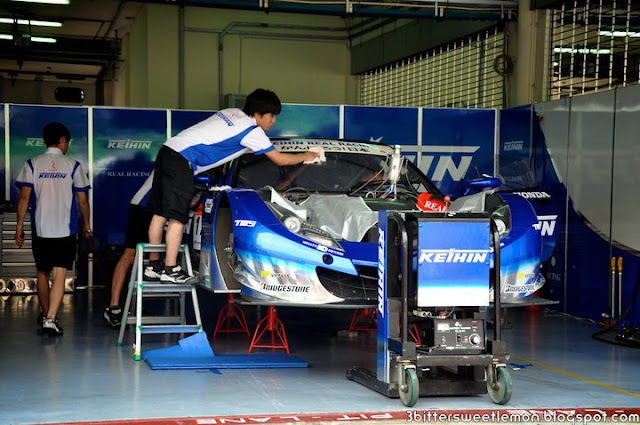 And while you're at it, Ishin is coincidentally once again one of the sponsors for the coming Super GT on 9th and 10th June 2012. 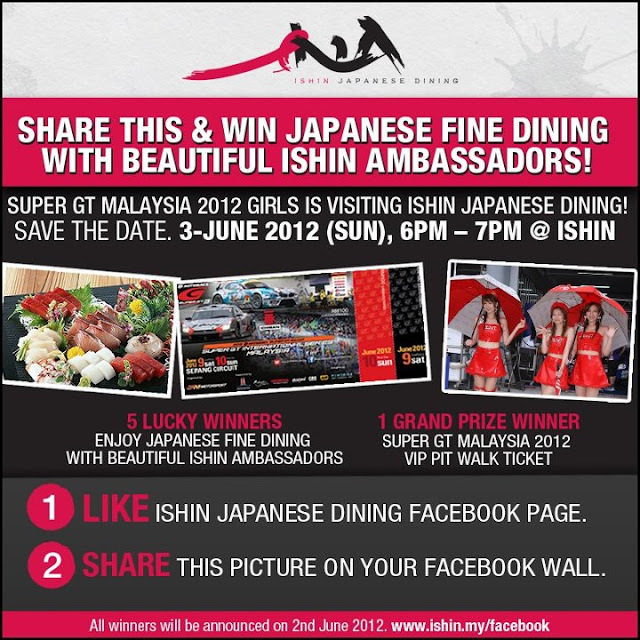 Hop by on Sunday 3rd June from 6pm to 7pm to dine with the Super GT queens Toshimi and Lushan. All you need to do is to like Ishin's Facebook page and share the the following picture from their Facebook page on your wall. Simple! Happy hours with style happens only at Millesime. Skip the peanuts and salty, oily chips. 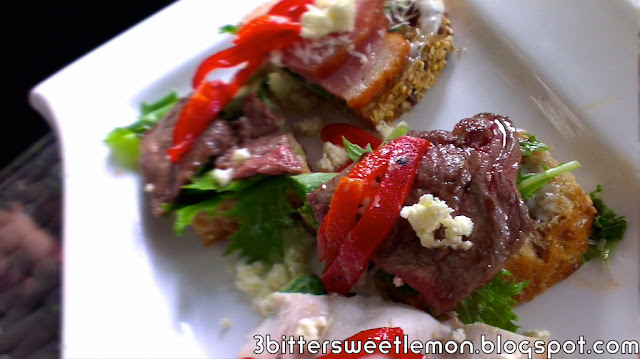 Throw in some gourmet yummies that Millesime's is notoriously (in a good way) famous for. That's Millesime's scrumptious Gourmet Hours. Every Monday to Fridays, Millesime offers Gourmet Hour, their version of happy hour from 5.30pm to 7.30pm. 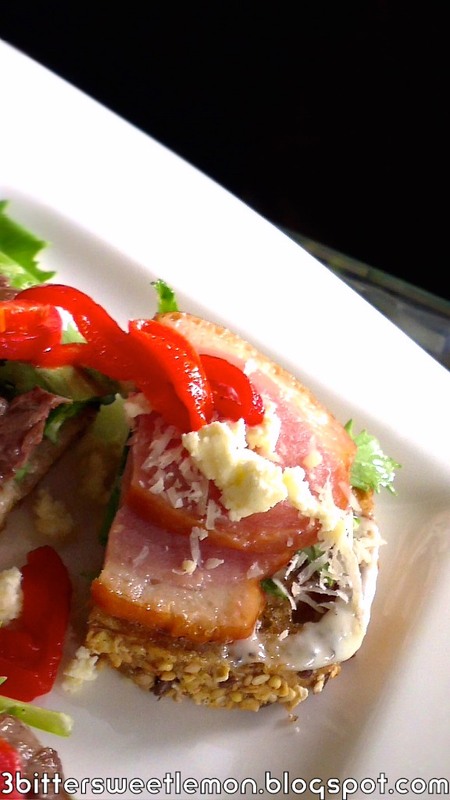 Expect mouth watering gourmet sandwiches and finger food are served with your order of drinks. I came late on that fateful Thursday evening but food's still good. Check it out! Can I have more Kobe Beef sandwich pls? 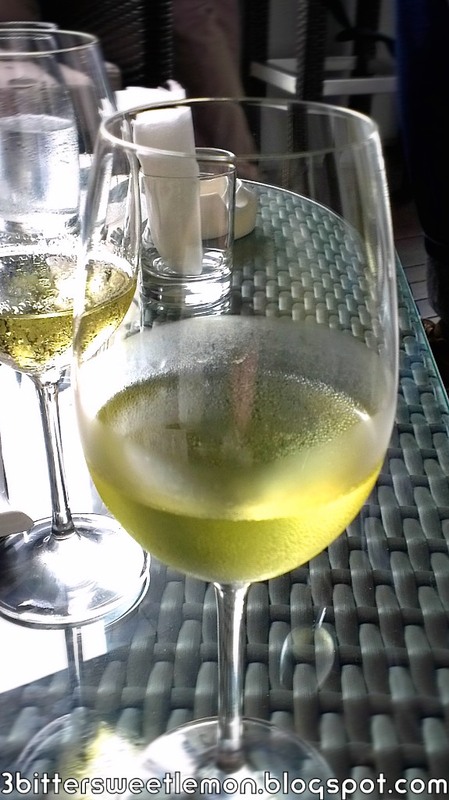 Oxford Landing Estates Chardonnay was my choice on that hot Thursday evening. You can also opt for red and beer whatever you prefer. A word of caution. 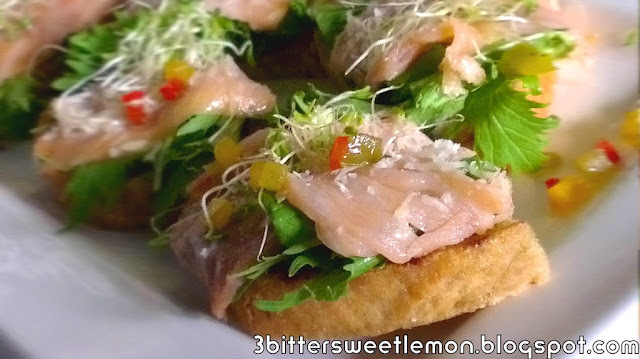 Do not expect to see exactly what I have had but you can expect gourmet stuff with your wine or beer. The menu varies daily based on available ingredients. 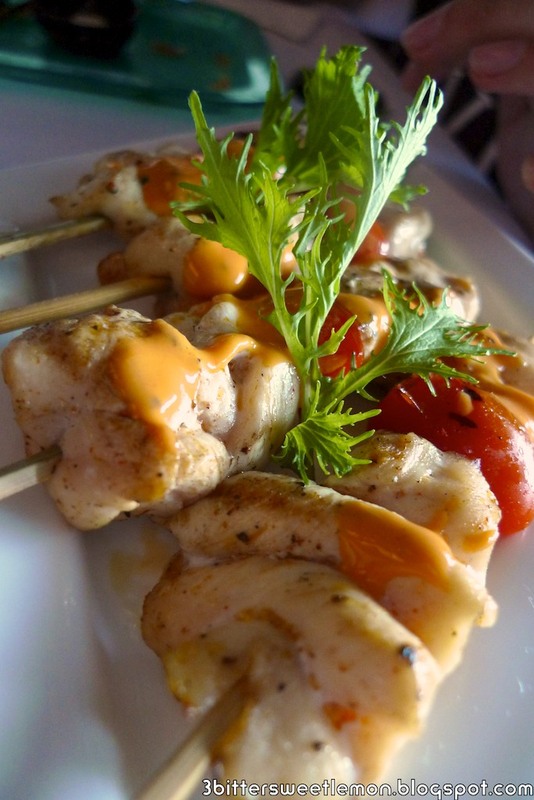 Having experienced their value for money wine lunches, you are guaranteed to be spoilt when you hop in for their gourmet hours between. 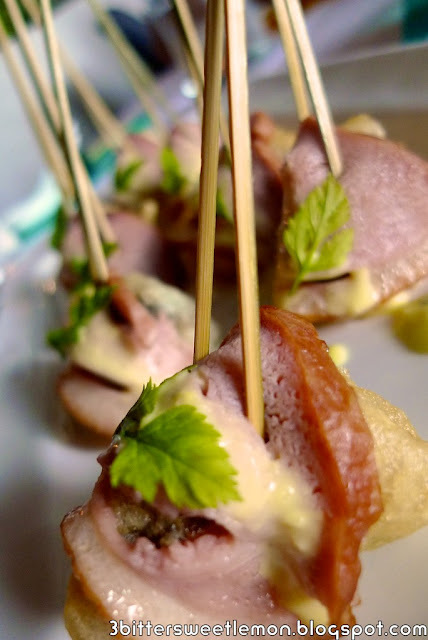 So hop over, sit back and enjoy your choice of drink and unwind to gourmet treats for happy hours with a difference. 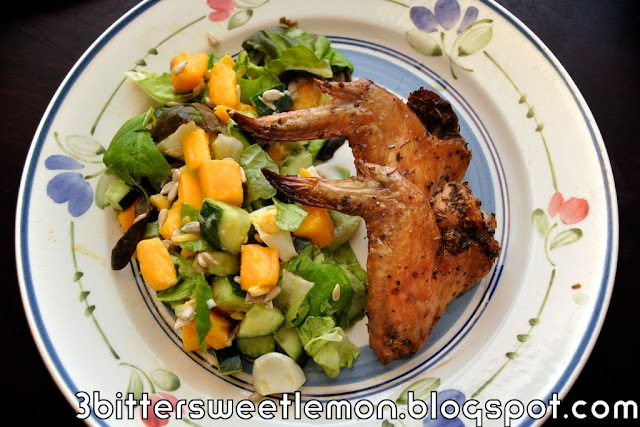 "Organic seasonings help our body to absorb better and maintain a good nutritional balance. 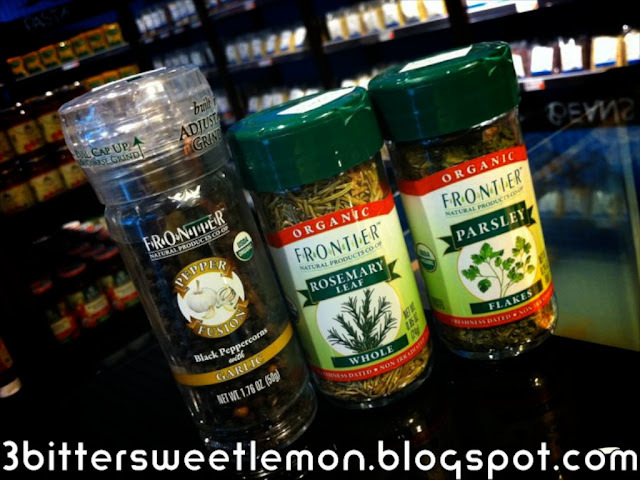 Whether you are new to cooking or an expert chef, consider switching to organic seasonings. In the short term, the food tastes better. In the long term, organic seasonings give you and your family a better quality of life!" I am not too sure how true that is but one should strive to go organic or natural as much as possible beyond just seasonings. 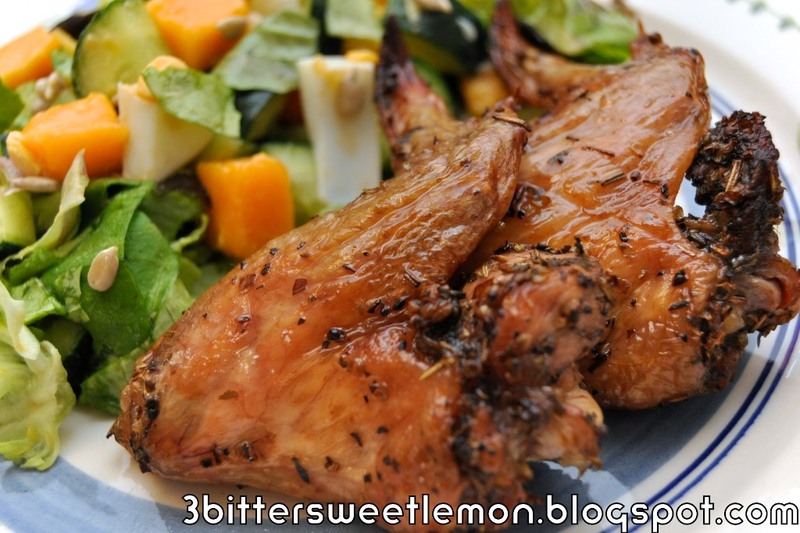 So here's Skinny Wings that is as organic as possible and when organic is not possible, we opted for free range. And to make it healthier (we opted to grill instead of frying. Baking is also a good option). 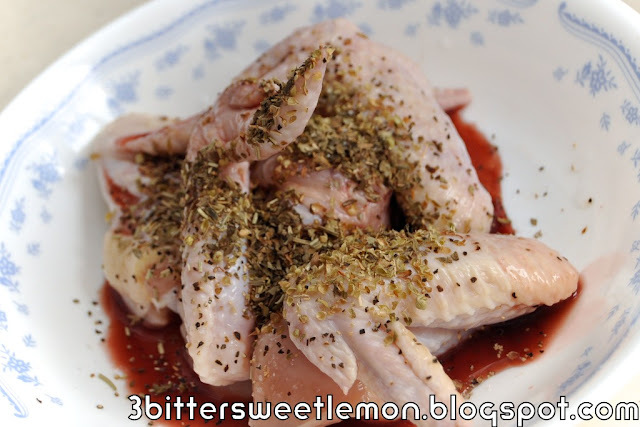 • Clean chicken and marinate with rosemary, black pepper, parsley, oregano, salt and wine for at least 30 minutes. • Place chicken on grill in the oven. Place a tray underneath to collect the oil. • Set oven at Grill mode at 220C. Set timer to 30 minutes. 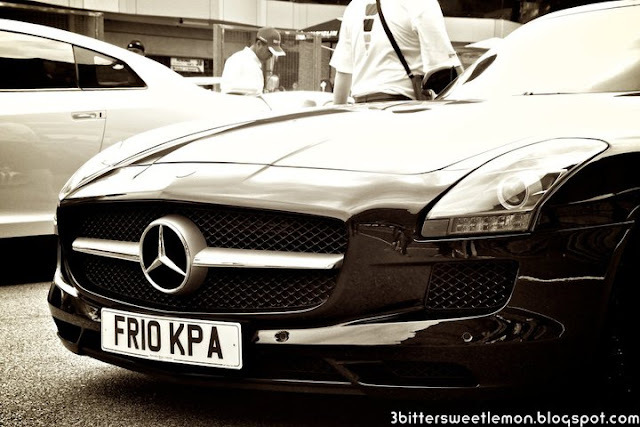 • On the last 10 minutes, reduce temperature to 150C. Keep a close eye in this last 10 minutes so the wings don't char. I've always loved my salads plain without any dressing. Sounds dreadful? 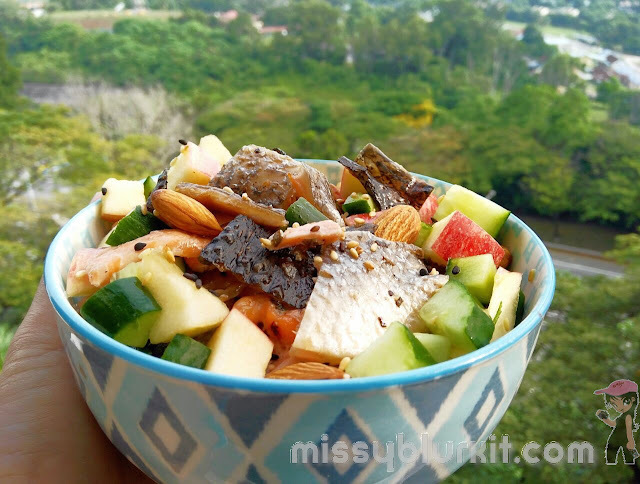 With the usage of a strong or flavourful fruit such as mangoes or oranges, you actually can have a very yummy natural salad. • Boil egg till done. Cube egg when its cooled. • Cube mango and carrots. 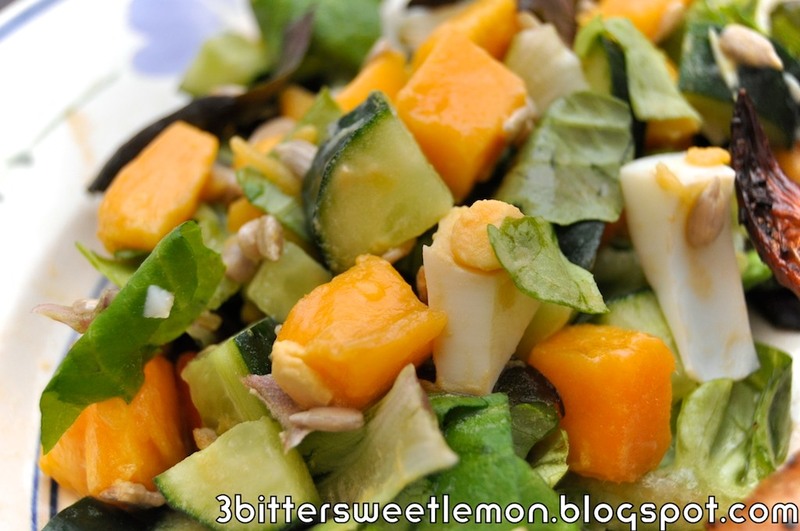 • Add sunflower and pumpkin seeds. • Toss well so that mango "flavours" the other ingredients well. 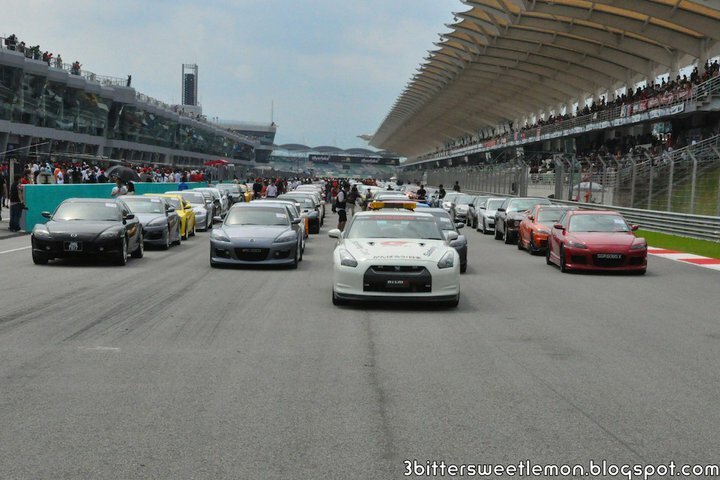 Its exactly 2 weekends more to race weekend at 9th and 10th June 2012 at Sepang. Yes, that's my 12th year of watching the Super GT in Malaysia. Here's a video of why I love it so much...loud and hot. Gets my adrenalin racing and a good reminder that I am alive! Dinner couple of weeks ago at Petite Millie was interesting. A dish named Very Atas One caught our eyes. 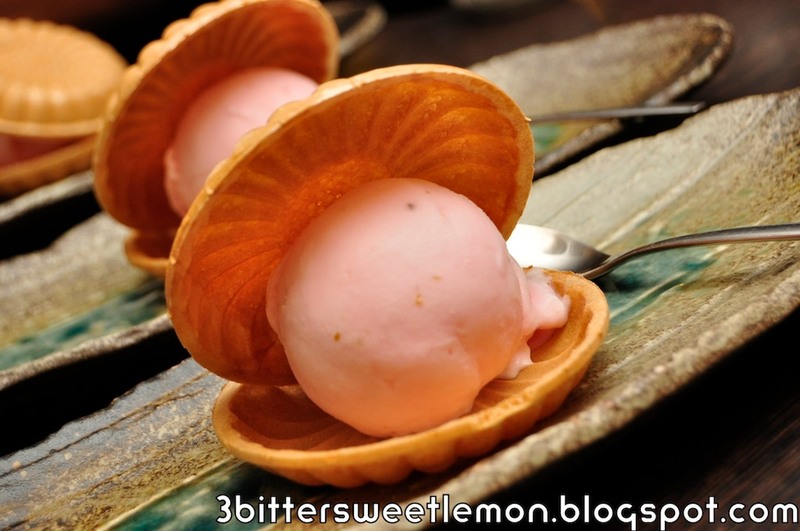 What the heck would a dish be called Very Atas One! and what would it be? A pretty hill on a white plate arrives. 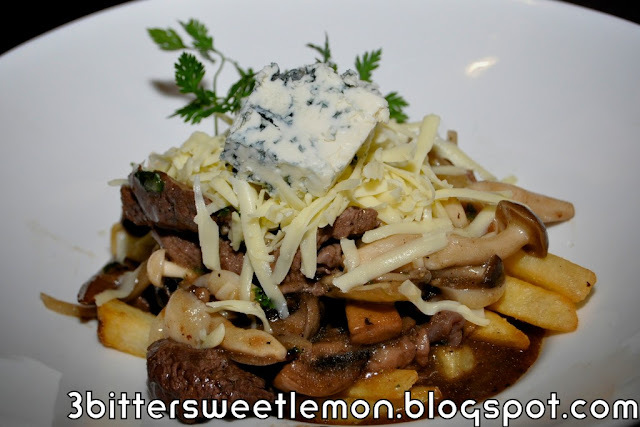 Thinly sliced beef with fries, caramelised onions, grated cheese and chunks of blue cheese. The whole dish was smelling awesomely good even before it reached me. 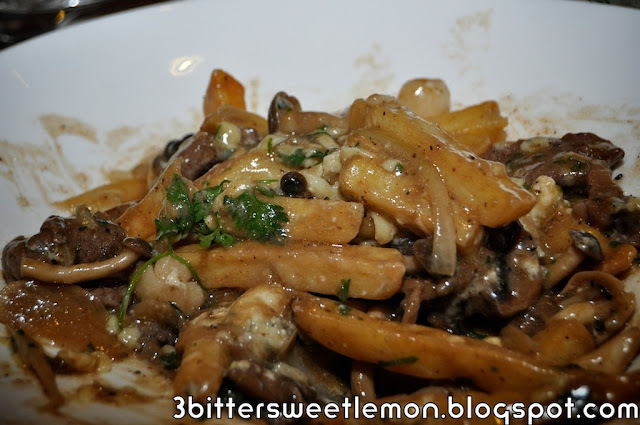 Frankly the description in the menu mentioned blue cheese crumbs but when it arrived, its not crumbs! 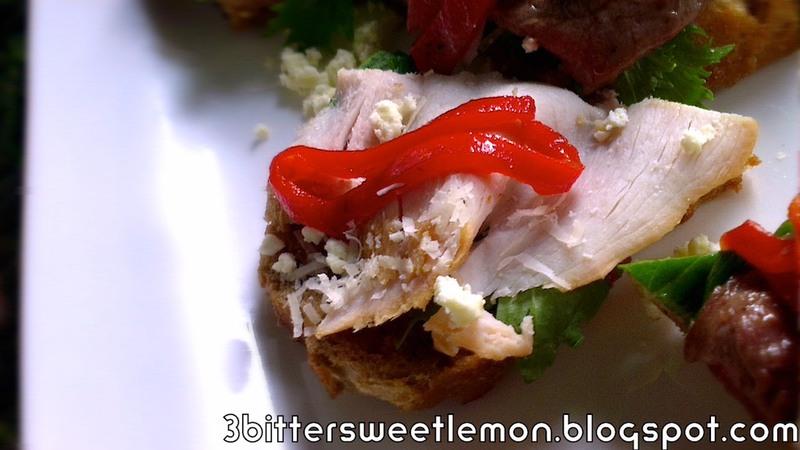 Its a generous chunks of blue cheese. I am not complaining. deep inside my stomach was smiling...glorious blue cheese. Just a interesting as Very Atas One! is a drink named Monkey in the Tropics. Ordered this since hubby was dining with me and it has been our ritual to order anything that has the word monkey in it (so long as they don't serve us monkeys!) A beautiful blend of banana and mango in a creamy milky smoothie! Lovely and refreshing. 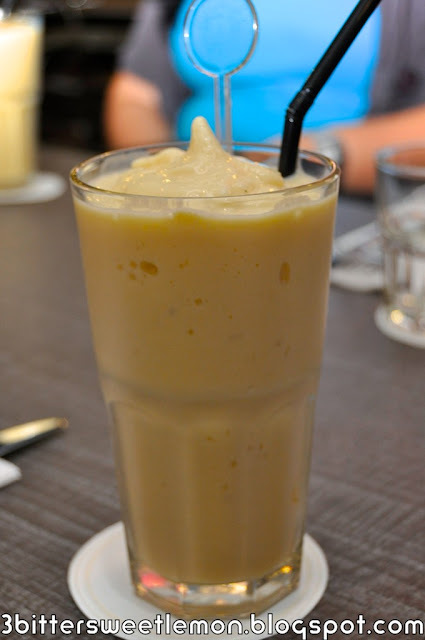 Personally I would love it to have more mango (one of my fave fruits). 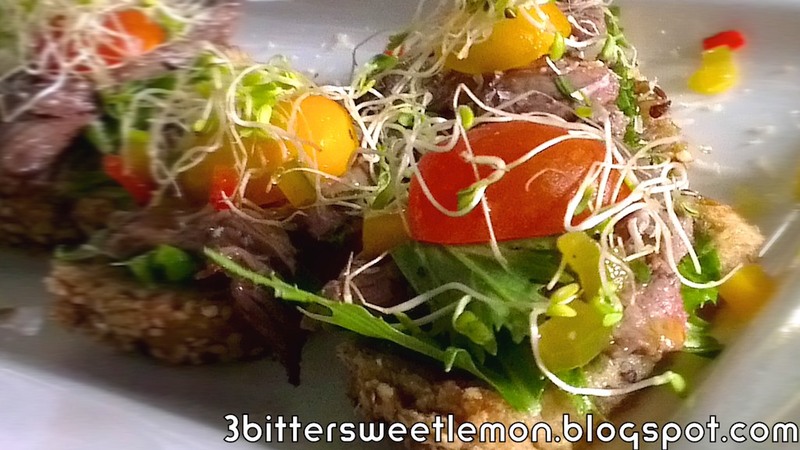 This makes a good post workout recovery food for the fitness buffs! 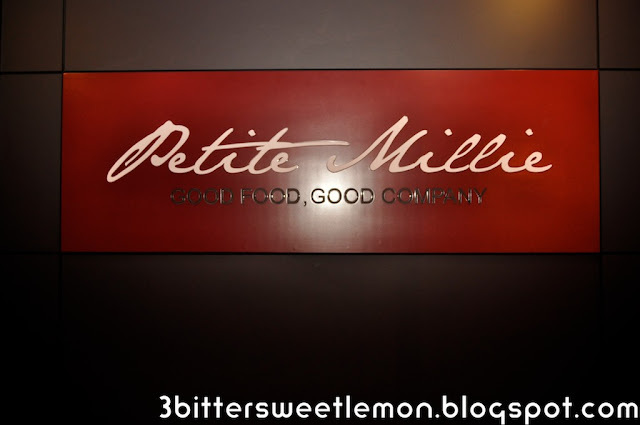 Watch for the second instalment of Petite Millie next week. Meanwhile if you're in One Utama, this is a place for you to check out. Super GT 2012 Round 3 is round the corner. Counting down we have exactly 18 days to the hot and exciting race. 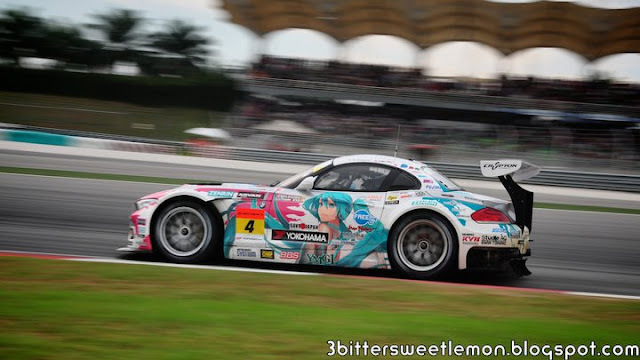 In fact Super GT 2012 Round 3 Malaysia is the one and only round out of the eight round of the Super GT to be held outside of Japan. Mark your calendars for 2 days of real motorsports fun and more on 9th and 10th June 2012. 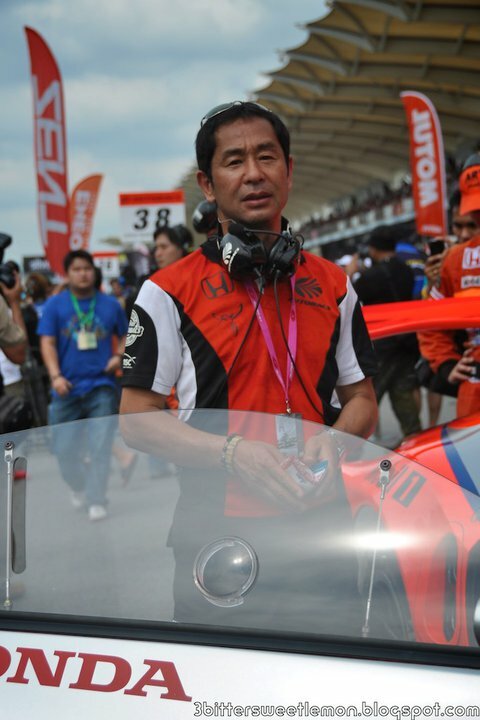 This year is my 12th year attending the Super GT in Malaysia. Previously it was purely fun from a motorsports side of things. But last year under the banner of JPM Motorsports, it was fun for the whole family, old and young. I remember the concert, Velocita party, exotic and classic car display, shopping and lots of food. This year, Super GT Round 3 promises even more great stuff. Motorsports enthusiast can feast their eyes on the GT300 and GT500 cars at their finest accompanied by the gorgeous race queens. There will be also be an exhibition of rides including Ferrari, Maserati, Porsche, Alfa Romeo, BMW, Ford and even Land Rover to provide alternatives for 4x4 lovers. Not only that, private owners will be bringing some of the rarest cars as well including the Lamborghini Murcielago LP670-4, Lamborghini Aventador LP700-4, Morgan Aero Super Sport, Ford GT40 replica and many more. To top it off, Ducati and Harley Davidson will be bringing their best motorbikes to the show. Last year we (I used "we" because my ride joined the fun of achieving Malaysia Book of Records with 405 of super and performance cars gathering in SIC). This year the organisers of Super GTare attempting the Malaysia Book of Records 2nd Edition of the Biggest Super and Performance Car Gathering. 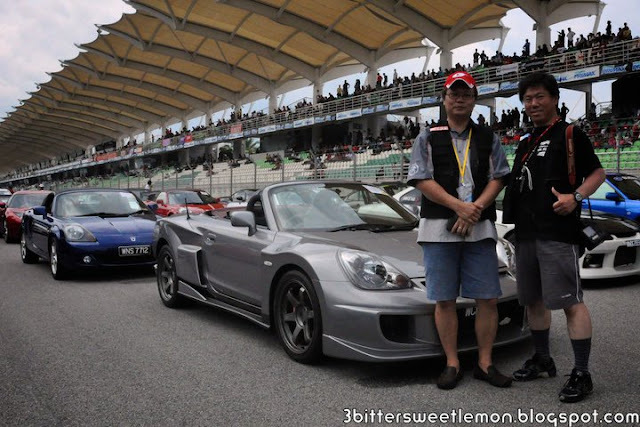 You will see the makes of Ferrari, Lamborghini, Porsche, Aston Martin, and other road-going variants of SUPER GT Racing Machines such as the Lexus SC430, Honda NSX, Nissan GTR and Mazda RX7. Picture of hubster with a Japanese who happens to drive the Reckless MRS in Japan. 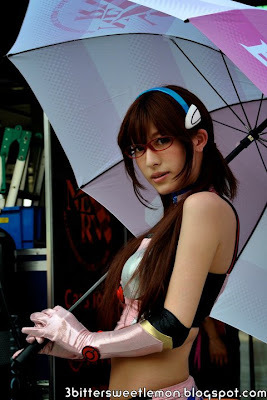 • Akihabara Town with authentic Japanese ‘look and feel’ filled with gadgets. Gadget lovers can expect the latest gadgets for sale and goods at amazing prices as some items will be placed at clearance sale rate. • All-day Dance Competition by 40 dance teams from various colleges in Klang Valley and Penang to showcase their dance choreography. 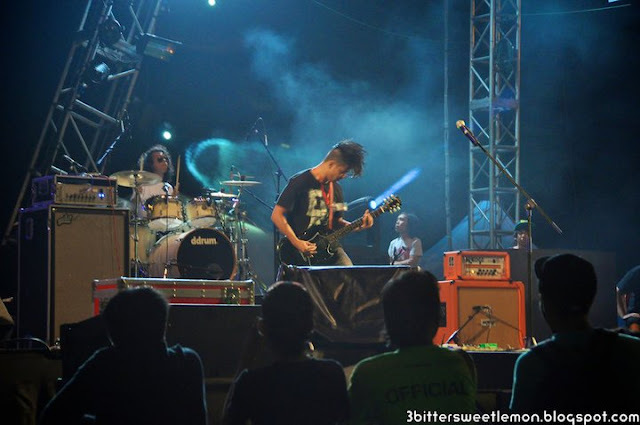 • Concert...yes you read i right. There will be a concert and little birds say that it is a hot act coming in. Stay tuned for more details. Super GT is meant for all walks of life and there is something for everyone! Excited yet? Grandstand tickets are priced at RM100 each which comes with a Touch N Go card, and can be bought online at www.ticketcharge.com.my, www.supergt.com.my or at Roadshows. Children under the age of 12 can enter for free. For added convenience, Skybus will be providing shuttle services from KL Sentral – the details can be found at www.supergt.com.my. If you love photography and want to experience the pit action, then pit walk passes are available at RM100 each. Photobugs who want to experience photography smack beside the race track can opt to purchase the Photographers Pass at RM500 each. see this with the RM100 pitwalk pass. 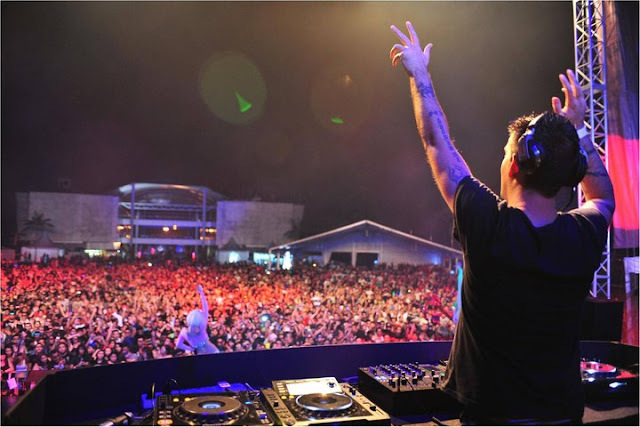 Contest closes everyday at 8pm and the winner will be announced at 12am. 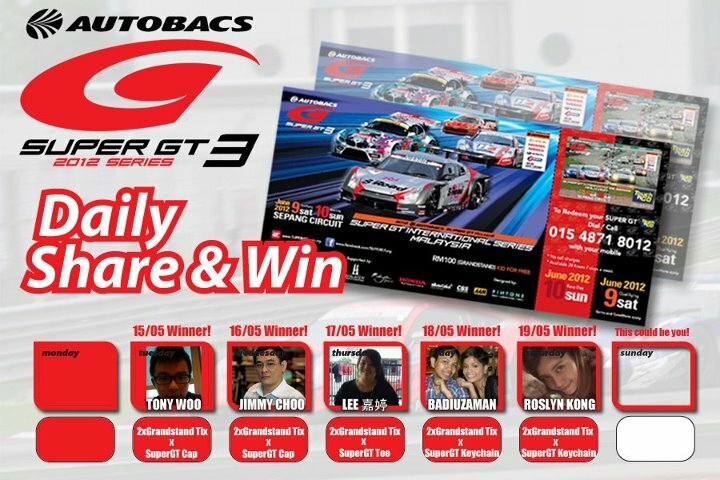 Winners must message Super GT Facebook administrators with their Name, IC number, mobile number and e-mail. 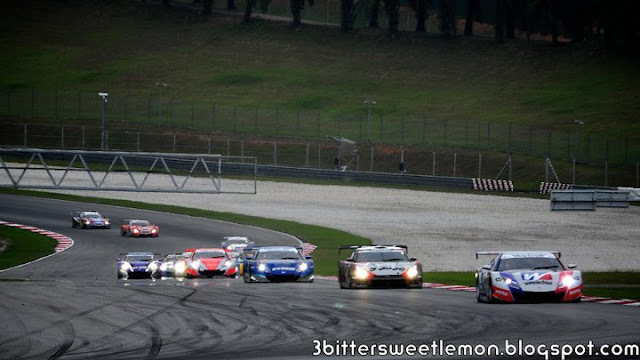 And to wrap up, here's what Hannah Tan has to say about Super GT 2012 Round 3 in Malaysia.